Plumbers must be ready for anything! Leaks! Cracks! Oversights! You are constantly repairing and installing pipes, fittings, and making sure water is supplied! Plumbers insurance is one of the most important aspects of your business. Make sure there are no cracks! 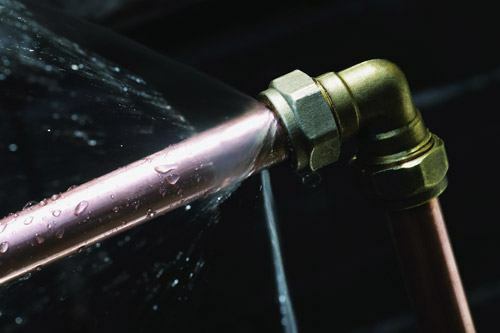 Liability insurance for your plumbing business is fundamental to making sure you keep bread on the table and keeping a bright future as one little mistake could put you out of business. General liability insurance for your business means you have coverage from claims of property damage, personal injury, and bodily injury. Whether you work in homes or businesses make certain you have general liability insurance. You can quote your insurance online at Business Insurance Quotes Agency. No hassle. If you like the quote, you can purchase it online with a credit card or debit card. Monthly payments available. Excluding state of New York. Revenue limit must be less than or equal to $500,000. Coverage limits available up to $2,000,000. Certificate of insurance is emailed to you upon your purchase. Show your next customer you carry this important insurance!